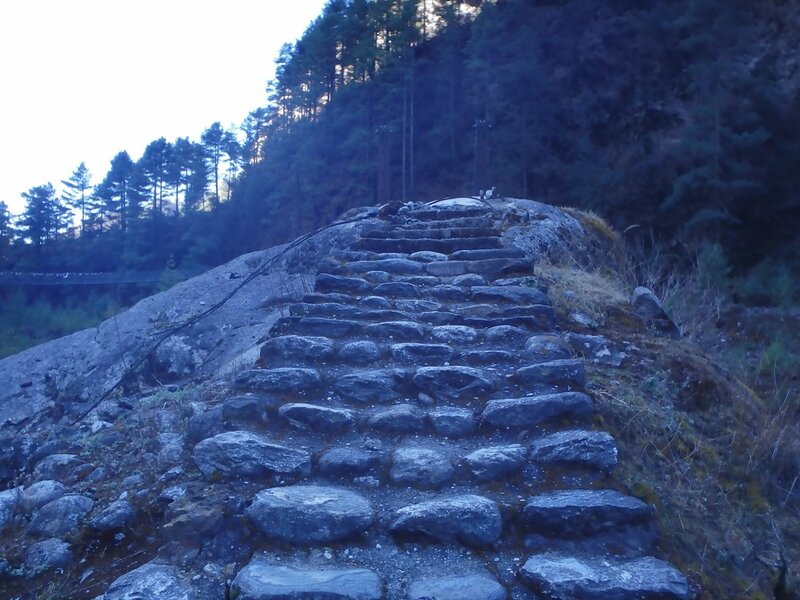 The climb up to Namche is probably the greatest trail…..ever. 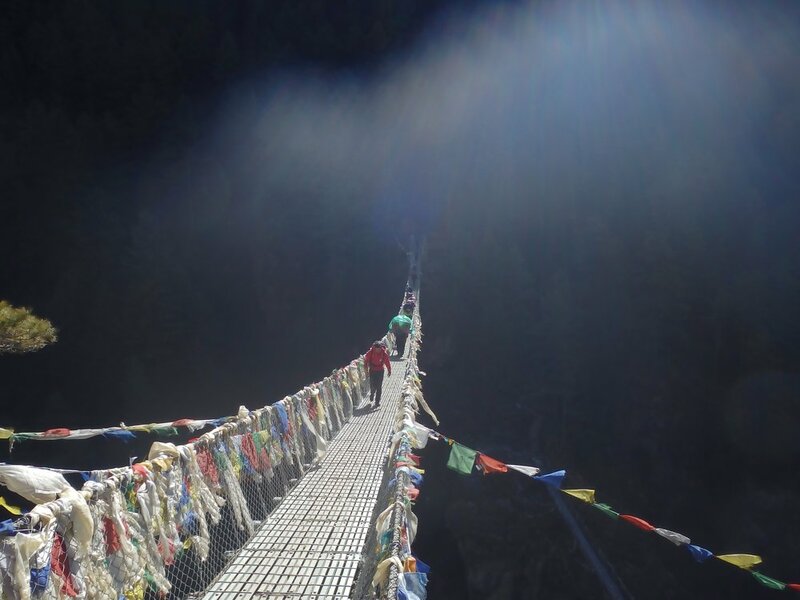 It’s through the pine trees and winds up on the side of the mountains and gives one the first view of Everest. It’s my favorite trek and I have been sooooo looking forward to it again. It did not disappoint. The climb up is steep and just fun. 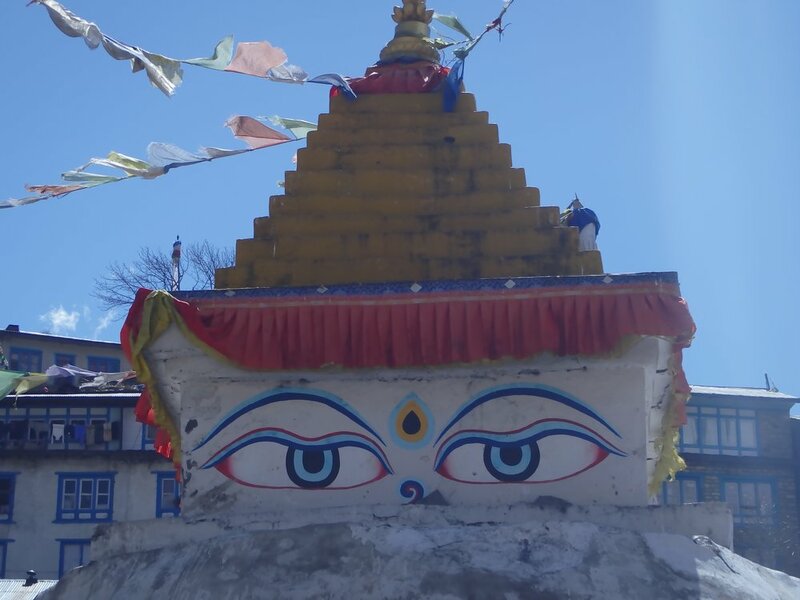 And then you arrive in Namche which is a great town built into the sides of a horseshoe hillside. It’s the highlight of the trek in.